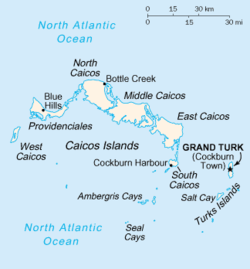 ^ “Weatherbase: Historical Weather for Grand Turk, Turks and Caicos Islands”. Weatherbase (2011年). 2017年4月12日閲覧。 Retrieved on November 24, 2011.